Mr Ng Kok Heng, Group CEO of XOX Berhad; Datuk Eddie Chai, Group Managing Director of XOX Berhad and Mr Pekka Peltola, Chariman of e-horizon. Mobile soft devices allow mobile operators to provide Voice-Over-Internet-Protocol (VoIP) and messaging services that are superior to what is provided by internet-based smartphone calls and messaging service providers. Unlike traditional communication apps, mobile soft devices work in similar ways to Internet services when user is connected to the Internet but enables users to communicate both online and offline. Voopee was jointly developed by XOX Berhad and e-horizon. It is an innovative mobile service application that allows smartphone users to have an actual second mobile number, minus the need for an additional phone or SIM card. The agreement between XOX Berhad and e-horizon will see the establishment of a joint venture new company (Juniverse) in Sweden. The new entity will be the launchpad to market Voopee to a wider global audience, going beyond its current South East Asian base. “ Consumers are turning to Voopee because its voice quality and messaging services are superior to Internet-based smartphone calls and messaging services. So fewer missed or delayed messages, clearer voice calls and no lag or echo as ell as an actual number where users are contactable whether they are online or offline. For these and many other benefits, consumers are willing to pay ensuring that mobile operators are fairly compensated,” Mr Ng explained. The new joint venture company based in Sweden will be well placed geographically and strategically to expand Voopee global reach to Europe and America. “Revenue for mobile operators is falling in mature markets as more people opt for Internet communications services through apps. European and American mobile operators are especially hard hit when it comes to their traditional revenue stream. With the formation of the joint venture company based in Sweden, we will take on the role of marketing Voopee to the European and American markets. Our exploratory meetings with mobile operators in these regions have been very positive, with much interest in offering Voopee as a revenue generating service to their user base,” said Mr Pekka Peltola, Chairman of e-horizon. According to Mr.Ng, mobile applications allow smartphone users to use services such as text, voice, photo messaging and more with a minimal broadband charge, with many users using free wi-fi wherever available. “This trend is here to stay as existing applications gain more sophistication, and new features. However, these applications do not allow cross application communication. For example, WhatsApp cannot communicate with WeChat, Viber, Line or vice versa. These are stand alones. So we end up with many applications and we are constantly checking our phones for messages on different applications. Also, these applications are not able to communicate with existing mobile lines and fixed lines,” said Mr Ng. “Voopee integrates all services, from Voopee to Voopee text messaging, voice bubble messaging, photo messaging, stickers messaging and will very soon integrate video messaging. The app also allows for multimedia messaging to non-Voopee users. Currently, Voopee also offers excellent call quality through the Voopee to Voopee calls and the first in the world to offer Voopee to mobile and fixed line calls. All these benefits to users, and incremental revenue for telcos is a winning proposition for all parties,” he added. 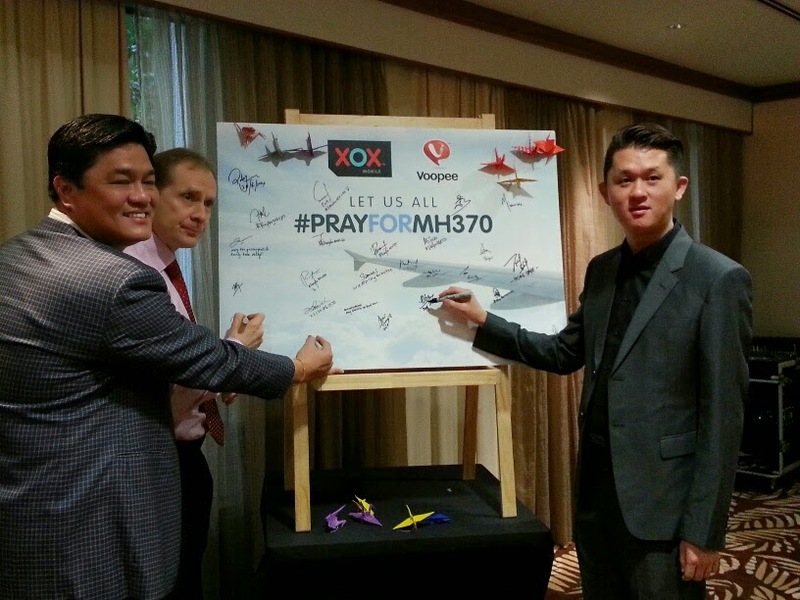 Established in 2005, XOX has been listed on the Malaysian stock market since the middle of 2011. The company builds on its existing platform with differentiated services and content, while adopting a holistic approach with value added service to its subscribers. 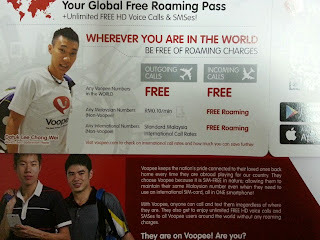 Voopee is already in place in a few countries such as Singapore, Hong Kong, South Korea, Cambodia, Bangladesh, Japan, Indonesia, UK, Australia, China, Taiwan and for Malaysia , it is known as XOX-Voopee.